In life, as on the trail, uncertainty can keep us from doing great things. 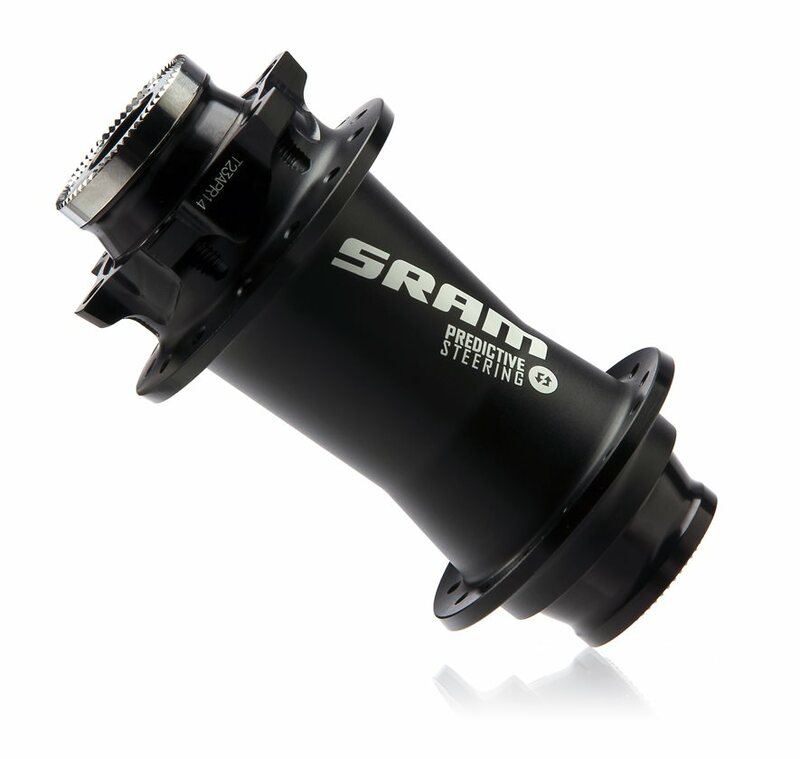 Overcome uncertainty with the Predictive Steering Hub, SRAM's state of the art Cross Country hub engineered for unrivaled stiffness and exactitude. The Predictive Steering Hub works seamlessly with the RockShox RS-1 inverted fork, using unique fork, axle, and compression technologies. The massive diameter Torque Tube axle creates an unbreakable bond, locking the lowers in place and maximizing torsional stiffness to keep the RS-1 fork from shifting. The broader hub flange spacing results in a stronger, more snappy wheel, while the new Maxle Ultimate further solidifies the connection with a tighter, stronger clamping force than you'd get from a typical quick release compression system. The hub flanges are angled towards the rim to allow the spokes to be fully in-line when tensioned, reducing spoke head breakage and superior overall resilience. The Predictive Steering Hub is proof that being burly doesn't always mean being sluggish, as the precision Speedball bearings reduce resistance, enabling faster revolutions and eliminating time spent on adjusting play. Is the spacing for this hub 100 or 110 (boost)?